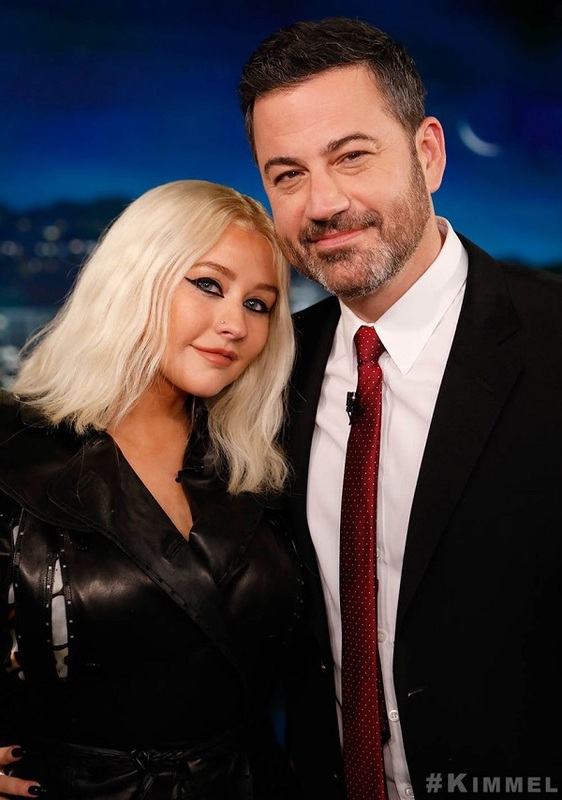 Christina Aguilera visited ‘Jimmy Kimmel Live,’ to promote her upcoming ‘Liberation,’ tour which kicks off later this month. One of the topics discussed was that ratchet fight between Cardi B and Nicki Minaj at the Harper’s Bazaar Icons NYFW event. It was just ironic that she was on stage performing her hit song ‘Fighter’ during the controversy. Christina wasn’t upset that it happened during her performance. She was just a little miffed that she didn’t get a front seat to the drama. Not that there was much to see anyway, because neither Nicki or Cardi made actual physical contact. Christina would know all about a good cat fight among rivals. The real tea is that she tried to punch Pink back in the day.